After spending eight years in the wilderness, this was supposed to be the year the Phoenix Suns returned to relevance. 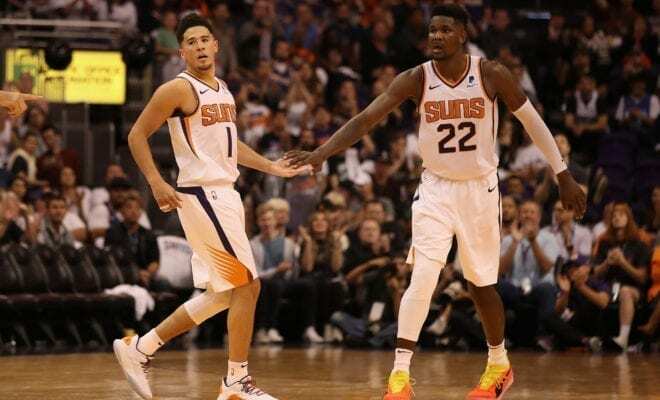 Instead, they could be heading for yet another winter of discontent, and young stars Devin Booker and DeAndre Ayton are pretty pissed off about it. After suffering a brutal 22-point loss to the Brooklyn Nets at home on Tuesday, Booker went as far as labelling his team’s performance “embarrassing”. “We definitely took a step back tonight,” Booker said, via the Arizona Republic’s Duane Rankin. Booker said the key to turning things around would be holding each other accountable and working to build team chemistry. “Know who to yell at, know who not to tell at,” Ayton told Rankin. “Know who to encourage. There’s certain guys on the team, you curse them out, you’re basically cursing with them. The Suns have a lot of other problems too (not quite 99, but still plenty). Their offence is dead last in the NBA (100.3 points per 100 possessions) and Ayton and Booker are yet to become the dynamic duo that many predicted them to be. That, however, is excusable, considering they’ve only played a handful of games together. The inexcusable concern is their defence. The 2018-19 season is where NBA defences go to die and the Suns have embraced that movement wholehearted by barely even trying to shut down the league’s litany of offensive juggernauts. 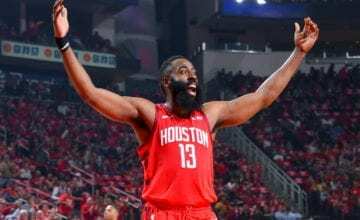 They rank 26th league-wide on that end of the floor, and number one pick DeAndre Ayton – along with supposed defensive ace Trevor Ariza – have been among their most listless defenders. Again and again, Phoenix’s most prominent players have stressed they want to truly compete this season. But so far, they’ve had a funny way of showing it.